Andrew Troelsen has more than 20 years of experience in the software industry. During this time he has worked as a developer, educator, author, public speaker, and now team lead and lead engineer at Thomson Reuters. 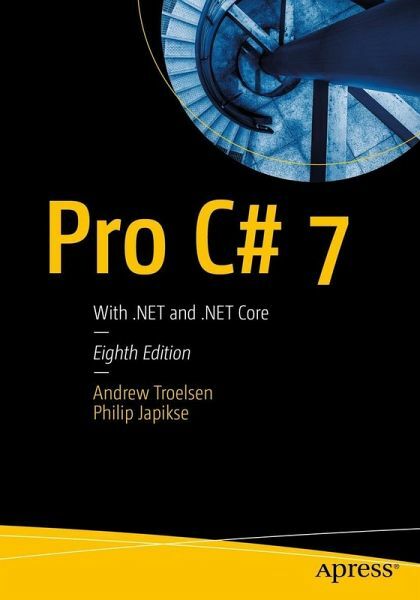 He is the author of numerous books in the Microsoft universe covering C++-based COM development with ATL, COM and .NET interoperability, Visual Basic, and the award-winning 'C# and the .NET platform'. He has a master of science degree in software engineering (MSSE) from the University of St. Thomas and is working on a second master of science degree in computational linguistics (CLMS) from the University of Washington. Phil Japikse is an international speaker, Microsoft MVP, ASPInsider, MCSD, CSM, and CSP, and a passionate member of the developer community, and has been working with .NET since the first betas, developing software for over 30 years, and heavily involved in the agile community since 2005. Phil is co-author of best selling 'C# and the .NET 4.6 Framework', the Lead Director for the Cincinnati .NET User's Group and the Cincinnati Software Architect Group, co-hosts the Hallway Conversations podcast, founded the Cincinnati Day of Agile, and volunteers for the National Ski Patrol. Phil is also a published author with LinkedIn Learning. During the day, Phil works as an Enterprise Consultant and Agile Coach for large to medium firms throughout the US. Phil enjoys to learn new tech and is always striving to improve his craft. You can follow Phil on his blog, or on Twitter @skimedic.